Here is some practical advice and information for voting in the Referendum today. * If you live in an urban area where there are multiple polling stations, make sure you know which one you are voting in. 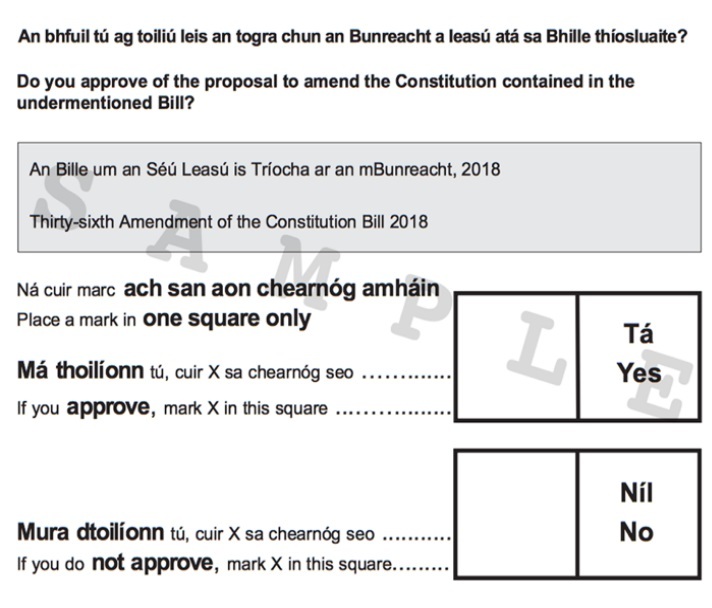 * This is a sample of what the ballot paper looks like. To cast your vote place an X in the 'YES' or 'NO' box depending on which way you want to cast your vote. * Once you have made your decision and have placed an X in the relevant box, place your ballot paper in the sealed ballot box. * Take note that taking pictures or selfies in the polling booth could lead to a fine. * Counting of votes begins at 9am on Saturday and the overall result should be announced later in the day once counting has finished.